Many Muslim authors, in early and recent times, have written extensively on Islamic political thought. One of the latest authoritative and eloquent contributions is Imam Rúhulláh Khumayni's al-Hukúmat al-'Islámiyyah. The Imam, who devoted most of his life to reviving the political ideals of Islam, does not appear in this book as a non-committal academic scholar but as a revolutionary mujáhid and, álim who is pained at the loss of Islam's political role in our societies and exhorts us to strive to restore Islam as a political force on the world map. Imam Khumayni was a prolific writer on a number of Islamic themes. His first work was a háshiyah (footnotes) on the 'tradition of Ra's al-Jálút.' Soon thereafter he wrote an independent commentary, sharh, on the same work. He wrote a spiritual-philosophical work in Arabic, Misbáh al-hidáyah, at the age of 27. Two years later he wrote a commentary on the Du'á' al-Sahar. Chihil hadith or Arba'in, which is an exposition of forty selected traditions of the Prophet and the Imams of the Ahl al-Bayt, was written when the Imam was about forty. Among the Imam's early writings there is a commentary on Fusús al-hikam and Miftáh al-ghayb, and two treatises entitled Asrar al-salát or Mi'raj al-sálikin and Risálat al-talab wa al-'irádah. 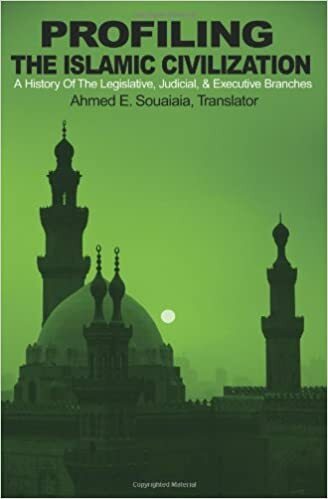 Among other early works of the Imam, there is the Hadith junúd al-'aql wal-jahl, a commentary on a hadith of al-Káfi He also wrote Ádáb al-salát, a mystical-philosophical ('irfáni) work about Muslim prayers. The Imam's major fiqhi works are al-Rasá'il and Tahrir al-Wasilah. The Rasá'il, in two volumes, as evident from the very title, comprises treatises on a number of fiqhi issues like ijtihád and taqlid etc. The Tahrir al-Wasilah, is an original contribution to fiqh with authoritative discussions on many new issues facing the faqih. The Imam started it while in exile in Turkey and completed it in Najaf, Iraq. When the copies of the first edition of the book reached the Imam in Najaf, he found that the printer had placed under his name the description 'Head of the Hawzah at Najaf' (hawzah means a religious centre). The Imam strongly objected to this and returned all the copies to the printer to delete that line, which was not unusual with such books. The Kitáb al-bay', in five volumes, on commercial transactions, contains the Imam's lectures at Najaf over 13 years. Its fifth and last volume was published after the Imam's return to Iran. The Kitáb al-tahárah, in three volumes, on issues of ritual purity, comprises .the Imam's lectures at Qumm. Hukúmat-e Islami ('Islamic Government') is perhaps Imam Khumayni's most important published work. It is a small book in Persian. Its Arabic, English, French and Urdu translations are available. The book is not an ordinary exposition of Islamic political thought or about how to establish an Islamic order. Instead, it purports to address a specific problem in the traditional Shi'i thought, that all authority in the absence of the Hidden Imam, in occultation since 260/873, is illegitimate, that the 'ulamá' and fuqahá' should confine themselves to their schools and záwiyahs, that no just and rightful government can be established before the appearance of the Awaited Imam. The book is basically aimed to clear this misconception in Shi'i minds which allowed tyrants to usurp political authority in Muslim society for over a millennium. This suited the unjust rulers very well, and led to the marginalization of Islam in the society. This new position was a revolution in Shi'i thought, which paved the way to the Islamic Revolution in Iran. A similar situation arose in Sunni Muslim circles where some ulamá' outlawed rebellion against unjust rulers on the pretext of avoiding the fitnah and blood-letting that such a rebellion eventually leads to. Hence the opposition to a ruler became a religious crime. Some Sunni 'ulama' invented savings like ('The Sultan is the shadow of Allah on earth; whosoever insults him will be humiliated by Allah, and whosoever honours him will be honoured by Him')! This saying, part of some printed Friday sermons, is still parrotted by ignorant prayer-leaders (I will not call them imams) in the Subcontinent. The result of both these positions was the same: the learned and just ulama' refrained from challenging corrupt rulers and taking over political authority in their respective societies. The Imam has powerfully smashed this thinking using texts from the Qur'an, hadith, sayings of the Imams, and reasoning. The Imam describes his theory as 'the governance of the faqih' or the jurisprudent (wilayat al-faqih). Therefore, the book is also called Wilayat al-faqih. It comprises 16 lectures that the Imam delivered at the hawzah of Najaf between 13 Dhú al-Qa'dah and Dhú al-Hijjah 1389 (23 January-10 February 1970) with the aim of proving that it is the principal obligation of the fuqaha', i.e. experts in Islamic law and sciences, to lead, guard, oversee and orient the Islamic State. 'Whatever the harassment you face, it cannot equal even one day of the difficulties the Prophet endured.' The reactionaries sent people to tell the Imam that 'Najaf does not tolerate such talk.' The Imam and his disciples and friends, according to Ahmad Khumayni, spent 'very bitter days' in Najaf. The reactionaries in Najaf threw the Imam's book, Hukúmat-e Islami, into the city's wells. Some of them used to come to the Imam and request copies of the book on the pretext of sending them to other cities like Basrah and Baghdad. These copies never made it to those cities. Enquiries revealed that they used to throw the copies into the Euphrates. The book was smuggled into Iran where the Imam's disciples would print copies and distribute them. 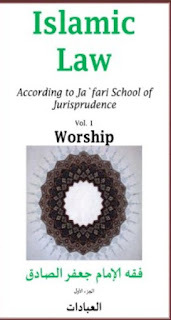 The book Kashf al-'asrár, although written about three decades before the Hukúmat-e Islámi, strongly advocates for Islamic government under the guidance of a faqih. The Imam says in this book that we have to start from the scratch, relying on ourselves. He compares the bureaucracy and royal extravaganza in Iran with the simplicity of Islam where the ruler has no special rights, apart from his duty to uphold the law and execute the Shari'ah. He exposes the role of alien and colonial forces in plundering Muslim wealth in collusion with a small estranged minority at home. He compares the simplicity and poor-friendly Islamic government with the imported models of government where the poor have no rights or say  Millions go hungry and remain deprived of basic health and education facilities, while a few corrupt people enjoy immense wealth. 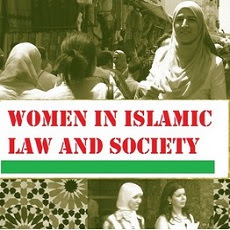 Whereas free justice in the Islamic legal system may be achieved in two or three days, the new imported legal systems consume decades to dispense highly expensive justice. The Imam says that ideas have humble beginnings; they grow slowly and gradually until they are adopted by the masses. He tells his students that you may not have a state or an army but you have the power to spread the message. The Imam derives two precedents from the Prophet's life for the establishment of an Islamic government. Firstly, he himself established a government, appointed governors, sat as a judge in Madinah and appointed judges for other areas of the Islamic State; he sent envoys to other countries, concluded treaties and waged wars. Secondly, he appointed his successor (khalifah) at Allah's orders to carry on the head of state's duties after him.' 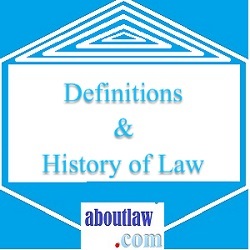 It is self-evident,' he points out, 'that the necessity of enforcing the laws was not particular to the time and place. of the Prophet, upon whom be peace. Rather the necessity is continuous, since Islam is not limited to a particular time or place and is universal. The Imam also asserts that 'the very nature of the Islamic laws is another proof of the imperative to establish government. These laws inform us that they have come to establish a State with an administration, a healthy economy and high culture.' He goes on to discuss at length Islam's diverse social, economic, defence and international laws which cannot be enforced except by a State. He argues that the vast funds generated by zakát and khums are meant to run a 'great sovereign State,' instead of just taking care of the needs of a few poor or noble people. Having proved that the establishment of an Islamic government is imperative in terms of the Shari'ah and reason, he concludes that 'what was imperative in the times of the Prophet, upon whom be Allah's blessings, and Amir al-Mu'minin'Ali ibn Abi Talib, upon whom be peace, remains imperative to this day of ours.' Then he poses with the following question: 'More than one thousand years have passed since the Great Occultation (al- ghaybat al-kubrá) of our Imam Mahdi, and another thousand of years may pass before the arrival of the Awaited Imam becomes necessary. Should the laws of Islam remain suspended during this long period? Should the people be free during this period to do whatever they wish? The laws that the Prophet of Islam, upon whom be Allah's blessings, promulgated and endeavoured to disseminate, explain, and enforce for 23 years-were they limited to only a particular period? Did Allah limit the life of the Shari'ah for 2 years, for instance? The Imam goes on to say that earlier no Muslim doubted the continued necessity of government after the Prophet, upon whom be Allah's blessings. All agreed on this, although they differed about the person who should take over as his successor. Government in Islam means following and enforcing the law. The authority of the Prophet and the legal rulers after him was derived from Allah, Who has ordered [us] to follow the Prophet and the rulers after him: Thus there is no room for opinions and whims in the government Of Islam. The Prophet, the Imams, and the people follow Allah's will and His Shari'ah. The idea of wiláyat al-faqih is not an innovation of Imam Khumayni. He cites that the fatwá of Mirzá Shirázi outlawing tobacco, and the fatwá of Mirzá Muhammad Taqi Shirázi ordering jihád and the defense of the country were based on their understanding of the idea of wiláyat al-faqih. He also asserts that the Shaykhs Naráqi and Ná'ini were supporters of this idea. The just faqih, as guardian or ruler, controls in society what the Prophet, upon whom be Allah's blessings, used to control, except that the faqih will not share the exalted office of prophethood. Even if the fuqahá' are temporarily unable to establish Islamic government, they should not leave the battlefield; instead, they should come forward to alleviate the burdens and problems of Muslims as much as possible and apply the laws according to their capacity. Muslims, in the Imam's view, must not cooperate with unjust rulers. Basing himself on the saying of al-Imam Ja'far al-Sádiq that 'whoever seeks justice from the unjust rulers is, in fact, seeking justice from táqhút,' the Imam says that this statement was a political ruling ordering Muslims to shun unjust authorities. He also cites the instances of the fuqahá' appointed by the Shi'i Imams as parallel judges and administrators for specific communities. -Do you enforce the Islamic punishments, hudúd? -Do you defend the borders of the Islamic territory, and protect its independence? -Do you collect the rights of the poor from the rich and make them available to the needy, as ordered by Allah? The clear answer to all this, the Imam says, is that the fuqahá' are not discharging these responsibilities. Quoting Imam Ali's saying that 'the fuqahá' are the citadels of Islam', the Imam chides the students with the question: 'What citadels of Islam are you then?' and goes on to comment: 'We are content with a small number of rules which we discuss generation after generation. We have thrown away many of the issues and details. Many of Islam's issues are alien to us. The whole of Islam is alien. Only its name remains. Its punishments have been forgotten. The punishments elaborated in the Qur'an are recited like verses. Only the written form of the Qur'an remains. We read the Qur'an only to vocalize its letters properly. The rotten state of the society, the spread of corruption in the length and breadth of the country under the knowledge and support of the perverse government, remain issues of no concern to us. It is enough for us to know that there is a certain punishment for the adulterous man and woman. He tells his students: 'Do not tell me, "All this will have to wait until the appearance of the Hujjah (Imam Mahdi), upon whom be peace." Have you left your prayers waiting for him to appear? Do not say what some have said, that "sins should be promoted in order for the Hujjah to appear." That amounts to saying that unless sin became rampant the Hujjah will not appear. The Imam also sets some rules for the future Islamic State. If a faqih violates the rules of the Shari'ah, he will automatically stand dismissed from the office of the wiláyah, due to the lack of 'justice' in him. The supreme ruler, in fact, is the law and all enjoy its protection. Two qualifications must obtain in the Islamic ruler: he must be an expert of Islamic law and sciences and must be just. Without these two conditions no one may assume the office of the Imam of the Islamic State. It is not a system where the head of state enjoys absolute power, playing with the people's wealth and lives.... It is a constitutional government, not in the ordinary known sense but in the sense that its functionaries adhere to a set of conditions and rules explained in the Qur'an and Sunnah, which make it imperative upon them to obey the system and apply the rules and laws of Islam. Hence the Islamic State is a realm of divine law. The difference between the Islamic government and the constitutional one, be it a monarchy or republic, lies in the fact that representatives of the people or the monarch legislate, while the authority of legislation (in the Islamic State) is confined to Allah alone. None, whosoever, is allowed to legislate and none has the right to govern with laws that do not enjoy Allah's sanction. Whatever has come in the Qur'an and Sunnah is accepted and obeyed by the Muslim masses. This adherence facilitates the State's responsibilities. On the contrary, in constitutional governments, be they monarchical or republican, after a majority legislates something the government endeavours to secure the people's obedience by force if necessary. In the Islamic State, Allah alone is the legislator and the lawgiver; all, including the Prophet and his caliphs, follow the same set of rules. The Imam foretold in these lectures that 'future generations' will establish the Islamic government with the help of Allah. He did not know at the time that this will be achieved within a decade under his own leadership. It should not be misconstrued-as is often done these days under the faked scare of Muslim 'fundamentalism'-that the Imam is calling for forcing Islam on unwilling non-Muslim societies. 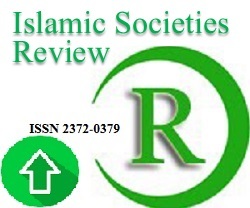 The question of establishing an Islamic State arises only in societies with Muslim majorities. If non-Muslim societies do not wage overt or covert war against Muslims, Muslims have to live in peaceful coexistence with them as ordered by Allah. 1. 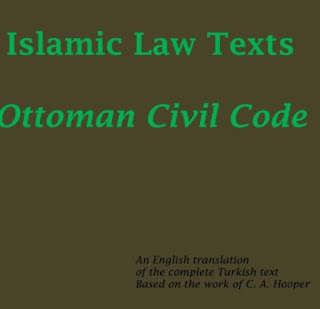 Early works on the various aspects of Islamic political thought include: Ibn Qutaybah (d. 276/889), al-'Imámah wa al-siyásah; Al-Fárábi (d. 339/950), al-Siyásah al-madaniyyah; Al-Máwardi (d. 450/1058), al-'Ahkám al-sultániyyah wa al-wiláyát al-diniyyah; Abu Ya'lá al-Farrá' al-Hanbali (d. 488/l066), al-'ahkám al-sultániyyah; Ibn al-Tiqtiqá (d. 709/1309), al-'ahkám al-Sultaniyyah; Ibn Taymiyyah (d. 728/l328), al-Siyásah al-shar'iyyah; Sayy'id Muhammad Ismá'il Shahid (d. 1246/1831), Mansab-e Imámat; Siddiq Hasan Khán al-Qannawji (d. 1307/1890), Iklil al-karamah fi tibyán maqásid al-'Imámah. 'Abd al-Wahháb Khalláf, al-Siyásat al-shar'iyyah (Cairo 1931); Abú al-'A'lá Mawdúdi, Khiláfat wa mulúkiyyat and Islámi riyásat (Lahore 1962); Sayyid Qutub, Ma'álim fi al-tariq (translated into English as Milestones); 'Abd al-Hamid Mutawalli, Mabádi' nizám al-hukm fi al-'Islám (Alexandria 1964); Muhammad 'Abd Alláh al-'A'rabi, Nizám al-hukm fi al-' Islám (Beirut 1968); Mahmúd Hilmi, Nizám al-hukm a'l-' Islámi (Cairo 1973); Muhammad Salim al-'Awwá, Fi al-nizám al-'Islámi li al-dawlat al-'Islámiyyah (Cairo 1975); 'Abd Allah Fahd al-Nafisi, 'Indamá yahkumu al-' Islam (London, n.d.). Muhammad Yúsuf Músá, Nizám al-hukm fi al-Islam (Cairn). 2. In the compilation of this list and relevant details, I have benefitted from the Imám's son Al-Sayyid Ahmad al-Khumayni's articles, "Mu'allafát al-'Imám", "Shakl al-Hukúmat al-'lslámiyyah," "Qirá'át fi Kashf al-'asrár", and "'Nazrah fi Kitáb al-Hukúmat al-'Islámiyyah," published in the Tehran Arabic weekly, Liwá" al-Sadr, in seven instalments during 2 Rajab-13 Ramadán 1404. 3. The edition of al-Hukúmat al-'Islámiyyah I have used is published by Mu'assasat al-' A'lami lil-Matbú'át, Beirut (n.d.). 4. Al-Sayyid Ahmad al-Khumayni, "Qirá'ah fi Kashf al-'asrár" (2), "Liwá' al-Sadr" (Tehran, 6 Ramadán 140476 June 1984), p. 8. 5. Al-Hukúmat al-'Islámiyyah, pp. 41f , 53. 13. Ibid., pp. 19, 23. 16. Al-Hukúmat al-'Islámiyyah, p. 9. 17. Ibid., pp. 24f. Succession by prior appointment is the Shi'i stand. Sunnis believe that the Prophet did not appoint a successor and that after his death the Muslims elected the khalifah to carry out the enforcement of the Shari'ah and the regulation of the society. However, even Sunnis agree that the appointment of a khalifah or Imám is obligatory for the Muslim society. 18. Al-Hukúmat al-'Islámiyyah, p. 25. 37 The Imam refers to al-Káfi by Muhammad ibn Ya'qúb al-Kulayni (d. 329/941), which is one of the most authoritative Shi'i collection of ahádith and contains 16,099 traditions of the Prophet and the Imams of the Prophet's Household transmitted through narrators accepted by Shi'i scholars. 40. I bid., pp. 45 ff. *The author is Director of The institute of Islamic and Arab Studies, New Delhi. This paper was presented at the Imam Khumayni Seminar held on June 6, 1992, in New Delhi.